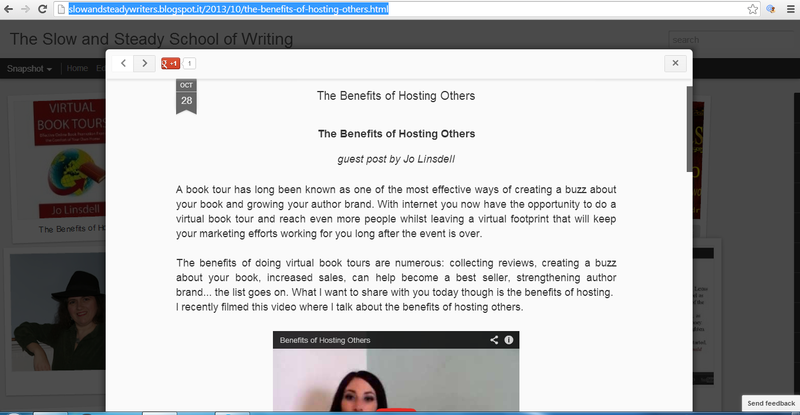 Today I'm hosted at http://slowandsteadywriters.blogspot.it/2013/10/the-benefits-of-hosting-others.html for a guest post on the benefits of hosting others (includes video). On 28th and 29th October I'm doing a Q&A session on Goodreads. Drop by and ask me anything. 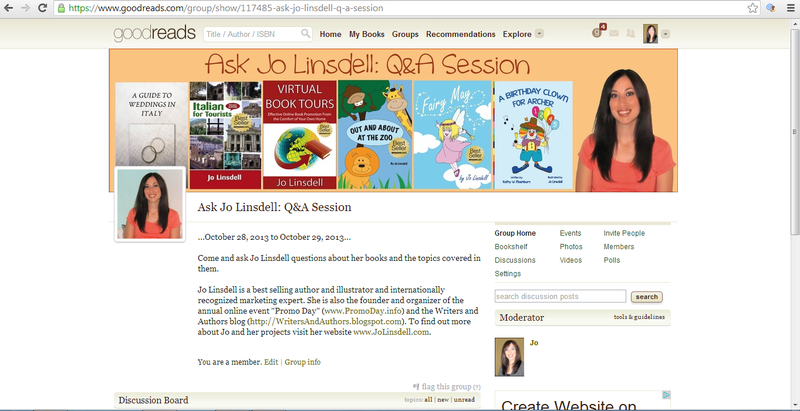 Share book reviews and ratings with Ask Jo Linsdell: Q&A Session, and even join a book club on Goodreads. In other news, I've finally kicked this flu. YAY! Thanks to all of you that sent me get well soon messages. I was touched by all your kind words and it really did make me feel better. You are all awesome!